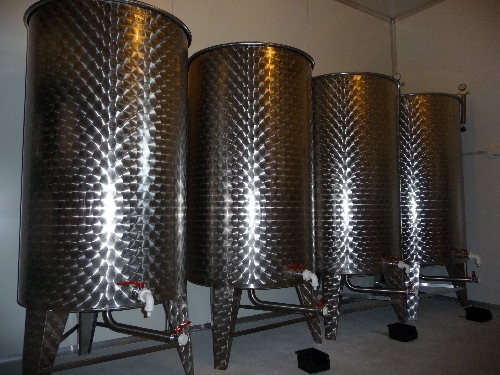 The oil is naturally settled on our property in a specially designed temperature-controlled cool storage cellar and handling facility before bottling and sale to the public. By choosing a special Dorica bottle, we have proudly displayed the full wealth of colour in our oils for you to see when you buy Clackline Valley Olive Oil. Our oil is always handled and stored in accordance with the findings of the Australian Government Rural Industries Research and Development Corporation report on the Effects of Storage Containers on Olive Oil Quality (Publication 09/160), which found that only stainless steel and glass are able to provide effective long term storage at a controlled temperature and in a dark environment.